Between 1949-1952 the Hughes Aircraft Company built and tested the XH-17 heavylift helicopter, designed as a "flying crane" for the USAF. 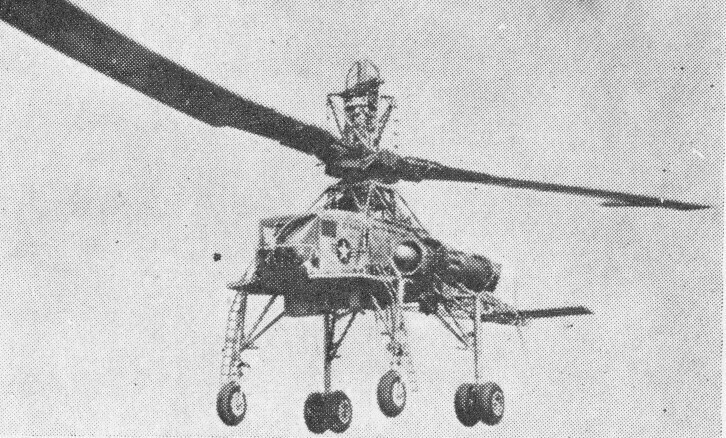 The largest helicopter ever built, the XH-17 was originally a Kellett design. First flown in 1949, it was subsequently abandoned; but test-flying was restarted late in 1954. Power: 2x 5,000 lb. thrust Allison J35 turbojets. Rotors: 2-blade tip-powered main; 2-blade tail.